Want to Buy Gold in Auckland? Ready to buy Gold or Silver in Auckland now? Call us on 0800 888 GOLD (0800 888 465) or email David at orders@goldsurvivalguide.co.nz. Save money. We have secured deals where we can offer gold and silver prices to our readers which are often better than if you went to these suppliers directly yourself as a new buyer (or at the very least the prices are the same). We don’t receive any money directly from you – we merely get a “finders fee” from the supplier. Upon acceptance of a quote you are notified of the suppliers bank account and then simply deposit the funds into their account via internet banking.So if you’re ready to buy or want a quote for gold or silver call us on 0800 888 GOLD (0800 888 465) or email David at orders@goldsurvivalguide.co.nz. We’re always happy to do the “hand holding” if you’re a first time buyer.You can visit our “Services” page to see some of the gold and silver bullion products that we are able to provide quotes on. If you’d like to know more about us and our history visit our “About Us” page. Or if you’d like more information on Gold and Silver with a New Zealand slant consider heading on over to our main site GoldSurvivalGuide.co.nz. We publish a few articles focussed on gold and silver there every week. You can sign up to receive our article updates by email over there too. Get Your FREE Auckland Gold Buyers Guide Instantly!!! 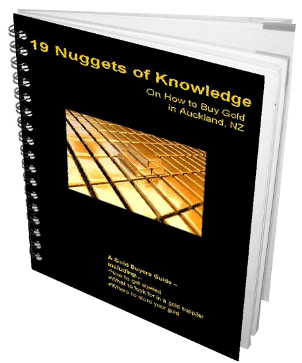 Our FREE guide will reveal to you "19 Nuggets of Knowledge" on how buy gold in Auckland or anywhere!! Make sure you get the best deal when buying gold and avoid making the common mistakes many do when buying gold! Enter your contact information above for FREE instant access to this buyer's guide.